Concrete floating structures, called Mulberry Harbours, were used on a large scale during the invasion of Normandy in WW2. They were built in England and shipped to Normandy. The artificial harbour at Arromanches-les-Bains was the brainchild of Winston Churchill. The remains of this formidable protective harbour, constructed in just a matter of days after the June 6, 1944 landings, takes one’s breath away on the first viewing. You enter the quaint seaside village, and out in the sea sit hulking concrete blocks larger than houses, forming a ring about 1,000 yards off the beach. Massive blocks litter the beach, once part of the road which transported trucks, tanks and men in the days following the invasion. After the invasion, engineers started working on this harbour while artillery fire boomed in the countryside just a few miles from the beaches. 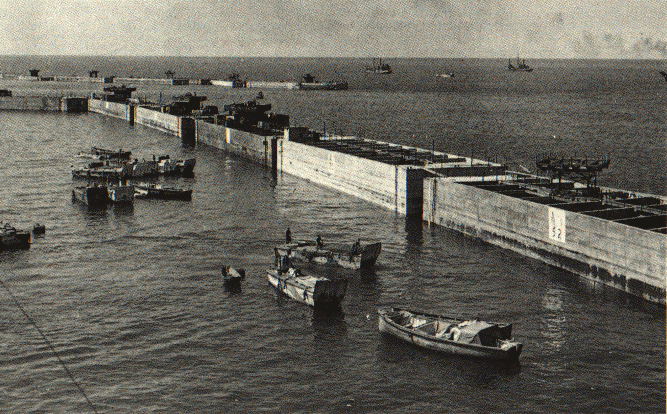 The Mulberry Harbour was built by sinking huge artificial jetties into the shallow waters off Arromanches-les-Bains. Another Mulberry Harbour was planned for Omaha Beach, but a storm destroyed most of it before it could be used. 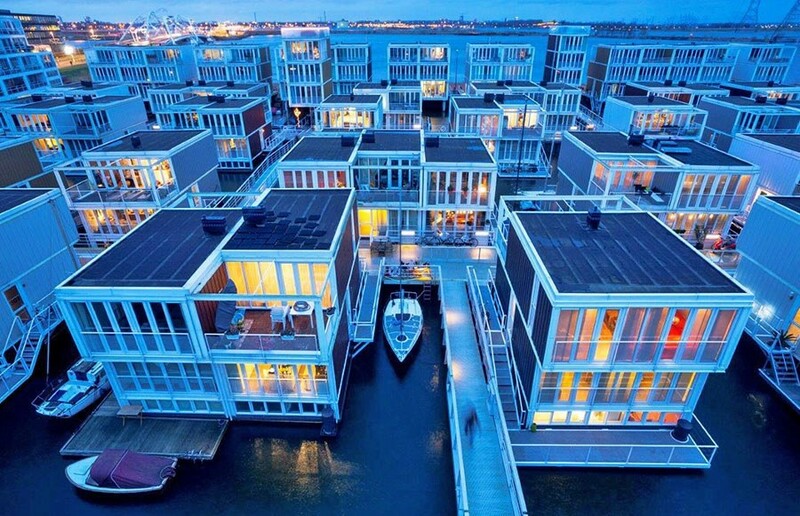 LARGE SCALE MODERN CONCRETE FLOATING STRUCTURES HAVE BEEN APPROVED AS “INSURABLE REAL ESTATE”.